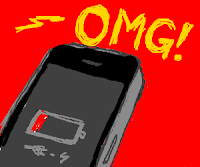 There is nothing like being out in the field or on the water and suddenly the realization hits you that your phone is near death. Phones have become our tether to safety in the event of anything unfortunate happening while we are on our adventures. 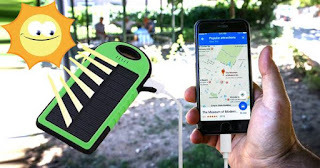 Recently, my wife shot me a link to a new incredible gadget that can provide for you an emergency amount of power to charge that dying phone or if you are into recording your actions, a GoPro or it's equivalent. It is called the Solar Power Bank. That is right! It's solar based, meaning as long as our closest star is pumping out radiation it will work. It is a very simple, clean design that delivers a constant power backup to charge the pesky dying cell phone. Cost is at a great price-point also. At $18 per unit, you can pick multiples to keep with different gear and not have to think about packing it. You almost cannot afford not to have one around. 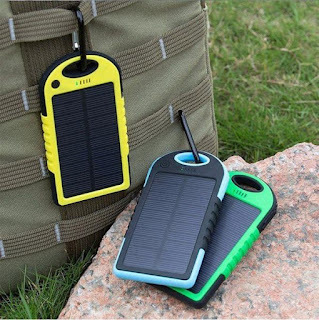 Just by walking with it exposed to the sun will give multiple charges if necessary throughout the course of another epic day in the field or on the water. The peace of mind that a device like this can bring you is worth gold. Just knowing that you will remain in connection with those that truly need to know your whereabouts and your estimated time of arrival back home is priceless. For everyone else, you can still say your phone was dying and you will only be lying a little. Happy New Year and welcome to 2017. I have been conspicuously absent of late and there are many reasons for that. But, never fear, I am here! I am so excited to share this article with you. After a year of planning, a dream of my father-in-law's came into being during this past Christmas season. He has had a bucket-list trip that he has wanted to give his kids for a long time and 2016 was the target year. 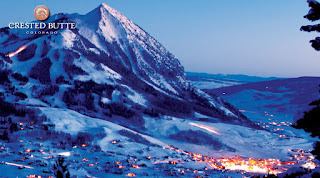 So, off to Crested Butte, Colorado the entire gang went. 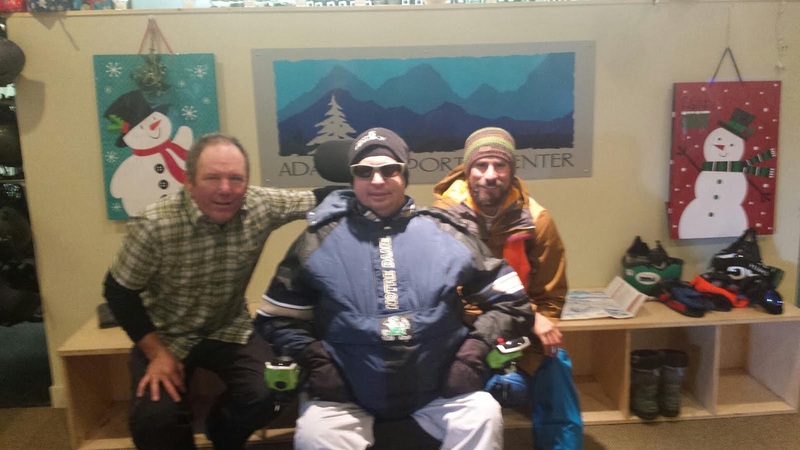 Crested Butte (affectionately known as CB), as well as many other ski destinations, has an Adaptive Sports Program that helps the handicapped and disabled ski. My father-in-law has been going to CB for many years and had been an eye-witness to all sorts of people skiing via this program. He desperately wanted me to try this and I was eager to give it a go. 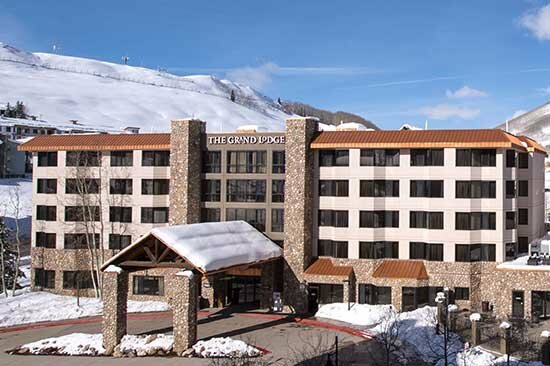 With ski clothes and base layers packed, we excitedly adventured to this fabulous destination. CB is absolutely gorgeous. We flew into Gunnison, CO and picked up an accessible shuttle bus to make the 45 minute trip up to the Lodge. I found a fantastic company by the name of Grand Mesa Medical who rented me a power wheelchair comparable to mine at home. So my time on the mountain was rather independent...which I like very much. *Pro Travel Tip - Never attempt to let an airline handle your expensive power chair. They will kill them! Always rent from a local source near your destination. 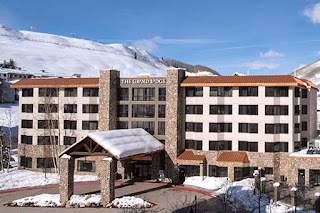 We stayed at the Grand Lodge which is located just a couple hundred yards from the ski areas and lifts. It was close and convenient. The room was a suite and laid out with plenty of room to maneuver around in a powered chair. The bathroom was complete with a roll in shower and the Lodge offered several shower seating options which was a nice touch. Now we get to the good stuff. 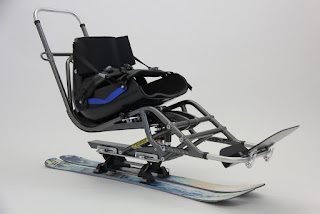 How does someone who is in a wheelchair and cannot walk, ski? Each person is fitted with an apparatus that will work best for their situation. In my situation, having limited use of my arms, it was a Bi-Ski, affectionately called, "The Bucket." The seat is fitted to a set of skis to which out-rigger skis are placed for stability. All of this is adjusted to fit your specific body and frame for as much comfort as possible. Each skier is assigned an instructor that trained. I had the privilege of hanging out with Colleen Farrell as my instructor for the first two days. She has been with Adaptive Sports since it's inception and this was her 20th season as an instructor. She was very good at teaching me exactly what we were doing and how to do it to the best of my abilities. After a few practice runs, she let me out on the tethers and called out turns and we were having a blast. Day two we even did a "Blue" run or two which was fun and exciting. Day three, I was introduced to a different instructor - Gabe Robins. I requested to take longer runs the last day as I was only skiing a half day and I wanted to go on more Blue slopes. Gabe delivered. We skied just about the entire mountain except for Black runs which are off limits to Adaptive Sports clients. I also wanted to mention the volunteers that assisted because without them, the instructors really cannot do their jobs. Two of the three days, my volunteer was Steve Otero. The man was amazing. I want to give his military service a shout out and he is also credited with taking all the video footage you see above. The other person that deserves some credit is an intern, Meagan Broker. A recent graduate of Purdue University, she was amazing in giving me excellent customer service as well as assisting in vital ways while on the mountain. I must say that you have got to give this a try as it was a thrilling adventure. If you cannot make it to Crested Butte, no worries. There are Adaptive Sports programs all over. If you go to Disabled Sports USA site and look under Chapters and pick your state, you can discover the nearest program to your home. It may not be skiing but whatever is popular for you to do near you is always a great thing.